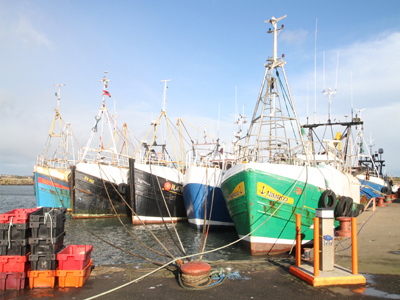 THE long-awaited review of the Common Fisheries Policy has now been agreed and the local County Down industry has already made a very lukewarm response to the Brussels decision saying that there is much small print to decipher and understand, but real expectations of an improvement for fishing opportunities for local fishermen are expected to be limited. The EU’s political and executive institutions may have hailed the overnight (30 May) agreement on a new Common Fisheries Policy. However, clarification is needed on much of the smaller print in the agreement before any firm conclusions can be drawn says Alan McCulla OBE, Chief Executive of the Anglo-North Irish Fish Producers Organisation. 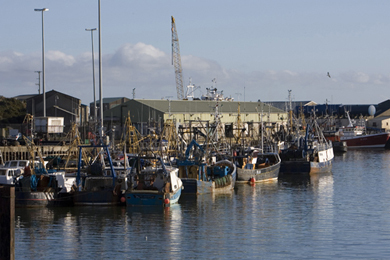 Trawlers berthed in Kilkeel will have to grapple with the new CFP regime. The announcement from Brussels at 3:30am this morning that a deal had been struck will not be greeted with much fanfare around the fishing harbours in Northern Ireland. Mr McCulla said: “Fishermen are today grappling with the fallout and focusing on the problems resulting from existing EU fisheries regulations. Unfortunately, but as expected there is nothing in the news coming from Brussels that is going to bring cheer to our members. There is nothing that will relieve any of the pressures brought about by rules that severely restrict the amount of cod we can land or days we can fish. “Headlines have been created around the so-called discard ban, regional management of fisheries, maximising the biomass of fish species and allowing fishermen to do more to maximise the value of their catches. There is nothing in these headlines that fishermen will disagree with, but as we know from experience the problems will arise when the spotlight moves away from reform of the CFP and fishermen are left to struggle with the detail of what has been agreed. “We are constantly reminded of the challenges that reform of the CFP will bring, but what people tend to forget is that fishermen have been working very hard to address the challenges brought about by the present regime. There is only so far you can stretch an elastic band before it will break and in the rush to grab a headline-grabbing agreement, we fear the problems being faced by fishermen today are being overlooked. 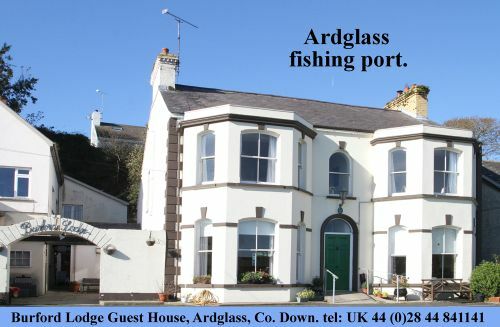 The Ardglass fishing fleet has struggled to make a living since last September 2012.